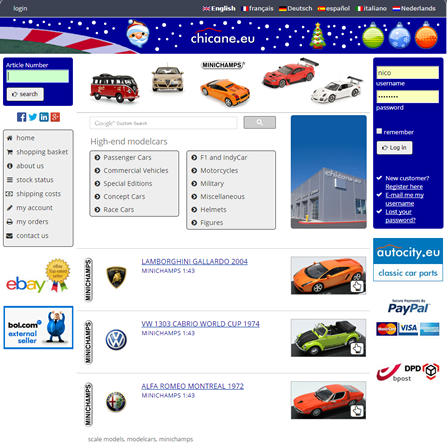 chicane.eu is a European retail platform for scale models. 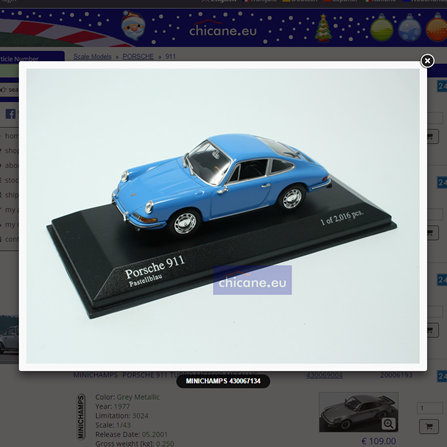 They work with the biggest manufacturers and suppliers of scale models. 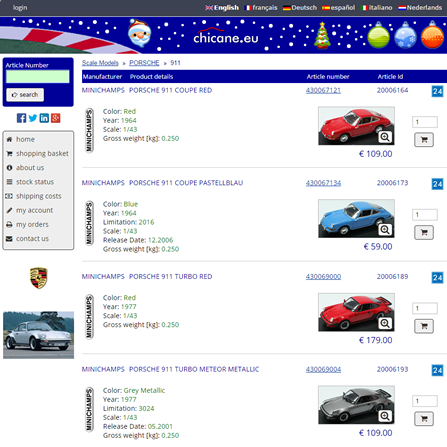 This multi-language e-commerce website is offered in 6 languages and offers a worldwide delivery.